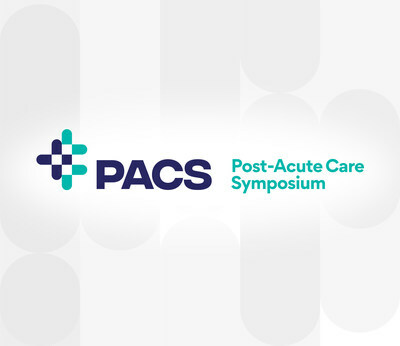 MALVERN, Pa., Dec. 6, 2018 /PRNewswire/ -- HMP, a leader in healthcare events and education, today announced the launch of the Post-Acute Care Symposium (PACS). The meeting will take place May 9–10, 2019, and will be co-located with the Symposium on Advanced Wound Care (SAWC) Spring/Wound Healing Society meeting in San Antonio, Texas. PACS is uniquely designed to provide nurses with the important tools they need through a curriculum that focuses on practical, evidence-based strategies for implementing clinical practice guidelines, protocols, and care pathways for wound and incontinence interventions. The PACS Steering Committee is comprised of many of the same experts who guide the programming for the established SAWC Spring and Fall meetings. "With the post-acute care setting now central to our healthcare delivery system, the time has come to provide a practical conference for nursing professionals that focuses on the day-to-day realities of patients with wound and incontinence issues," said Catherine T. Milne, MSN, APRN, CWOCN-AP, Advanced Practice Nurse and Co-Chair for the meeting. The two-day event, expected to draw approximately 250 nursing professionals, will provide a unique experience for attendees. The meeting will include a curriculum based on the nursing process method, interactive panel and case-based discussion, and "Rapid-Fire" and "Ask the Experts" sessions led by a diverse faculty that includes post-acute care educators with broad experience and practical insight. Attendees will have the opportunity to earn up to 10 CNE credits. By co-locating the meeting with SAWC Spring, PACS attendees will also gain access to the world's largest wound care exhibit hall and networking receptions as part of their registration. "HMP saw an unmet need in the marketplace," said Peter Norris, Executive Vice President, HMP. "The idea for PACS came in light of statistics showing the majority of wounds in the U.S. are being treated within the post-acute care setting by skilled nursing facility (SNF), home health (HH), and hospice providers. The educational agenda aims to provide post-acute care nursing professionals with real-world tools and strategies fit for the setting in which they care for patients on a daily basis." To learn more about the meeting, visit pacsymposium.com. HMP is the force behind Healthcare Made Practical—and is a multichannel leader in healthcare events and education, with a mission to improve patient care. The company produces accredited medical education events and clinically relevant, evidence-based content for the global healthcare community across a range of therapeutic areas. Its brands include Consultant360, the year-round, award-winning platform relied upon by healthcare providers across 21 specialties; Psych Congress, the largest independent mental health meeting in the U.S.; EMS World Expo, the world's largest EMS-dedicated event; and the Symposium on Advanced Wound Care (SAWC), the largest wound care meeting in the world. For more information, visit hmpglobal.com.